The large chargers are slightly easier than the tall bottle forms which I detailed in the previous post, however they are still tricky to make. I decorated the chargers in the same manner as the other work: apply a thick coat of white slip and then screen printed transfer patterns. I also attach a footring on the back which also has hanging points so that it can be displayed on a wall - I treat these large chargers like canvases. 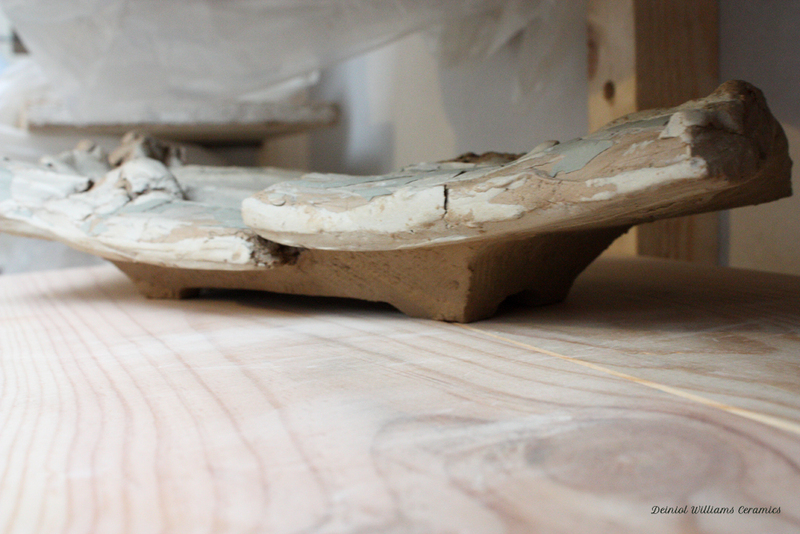 I find it a very cathartic exercise in making the slabbed platters as I try and let the clay dictate the direction. 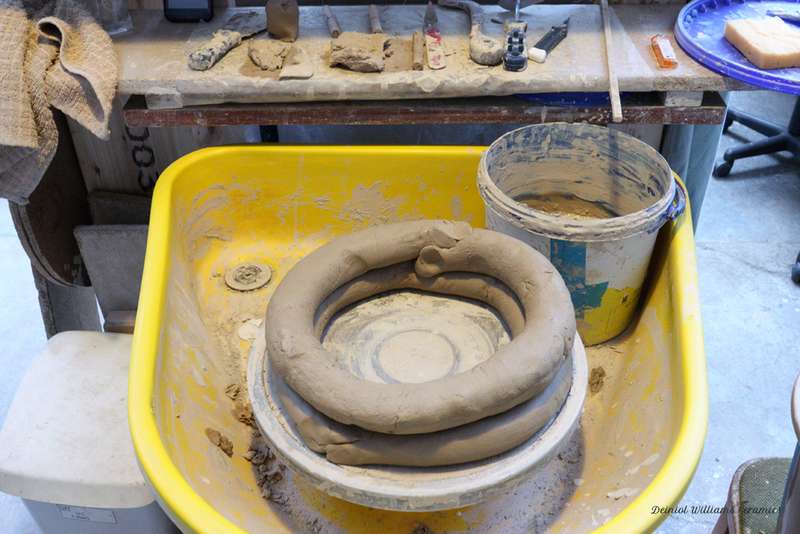 I start off by throwing a ring of clay which contains a variety of stone inclusions and I use a combination of sponges and wall scraping tools to protect my hands. 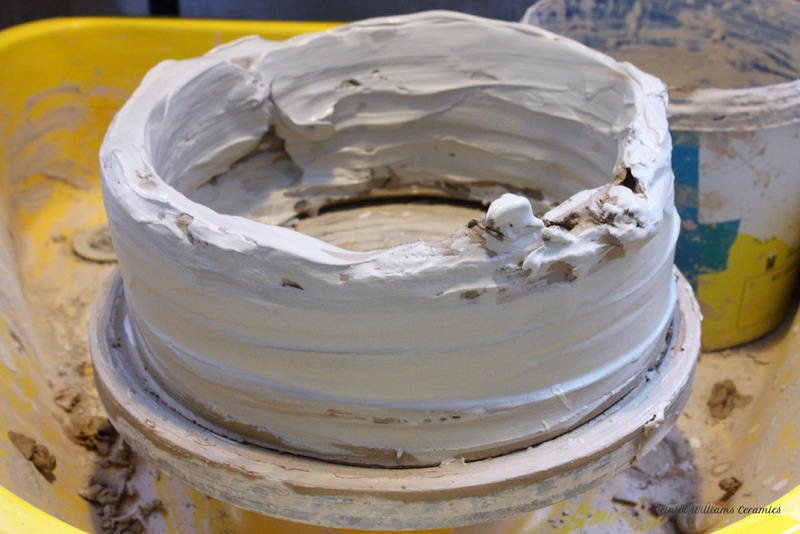 I cut out 2 or 3 sections from the ring of clay and then stretch and manipulate the forms before throwing them onto some timber to distort the form further. Once the forms have firmed up enough, I attach a footring which also helps to support the shape of the form. When I first started making these, they had some very simple feet but I lost a lot of the platters during the firing because they would slump in the centre. 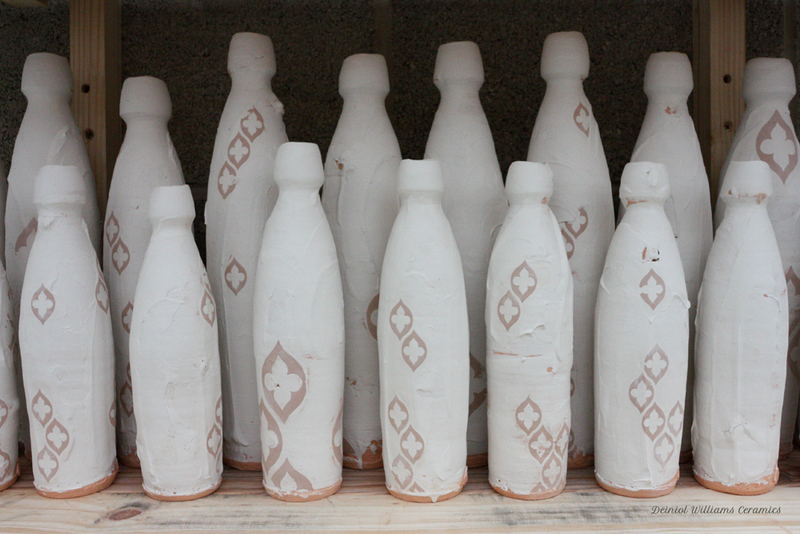 Before taking the all the finished work down to Wales to fire in the wood-kiln, they need to be bisque fired in my electric kiln so that they survive the trip down. They are also easier to glaze and I also find that the loss rate during the wood-firing is far lower if the pieces are bisque fired first. 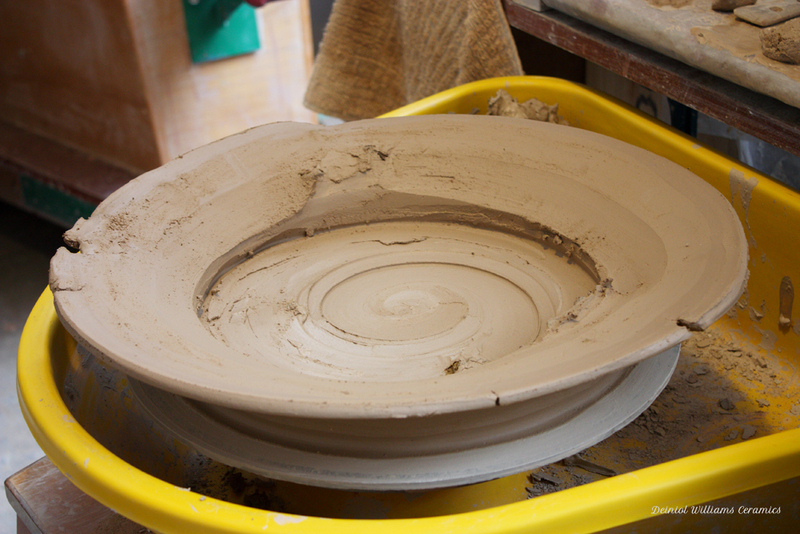 In my next post I'll be down in Wales glazing the work and packing the kiln.